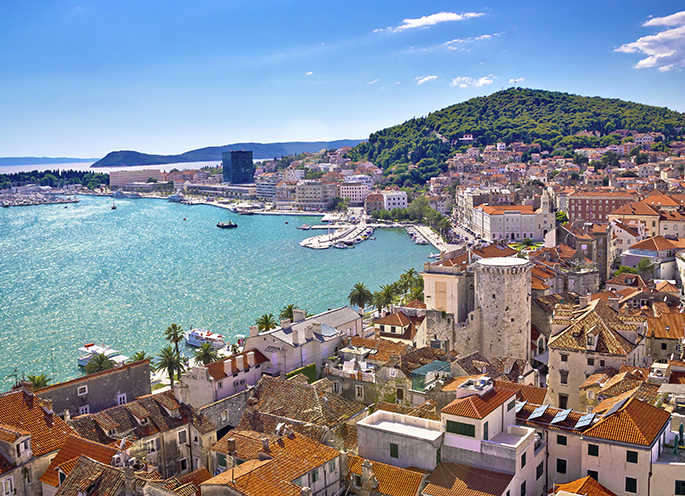 Embark SNAV cruise ferries to Croatia! On-board SNAV cruise ferries you can reach Split from Ancona with a comfortable and safe navigation, characterised by utmost comfort and efficiency. The vessel in fact offers on-board amenities for a pleasant and enjoyable trip: restaurant, self service, snack bar, shopping area, cinema. 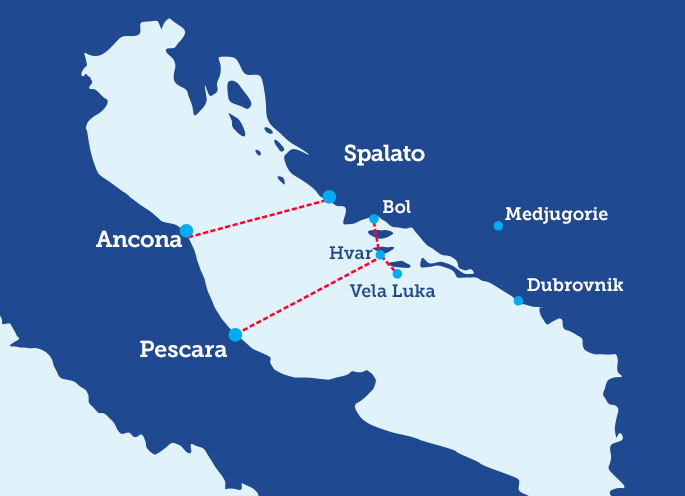 The route of SNAVcruise ferry is Ancona-Split*. Passengers can embark cars, motorcycles and campers. By choosing SNAV for your holidays in Croatia, you can take advantage of the incredible offers and discounts that the company reserves for you. Book your tickets online now, from the comfort of your armchair. SNAV reminds all passengers that travel on cruise ferries to Croatia that, in order to guarantee embarking, they must arrive at the check-in with original and valid identity documents. Children must travel with their document, featuring name of the parents if under 14 years old and/or temporary custody paper released by competent bodies. Passengers embarking their vehicles must present the original registration certificate.